Spence on Light. Image courtesy of The Adelaide Advertiser. The 13-storey, 75-apartment Spence on Light project is the result of a new partnership between the State Government, the South Australian Housing Authority, Housing Choices South Australia and not-for-profit organisation, ACH Group. 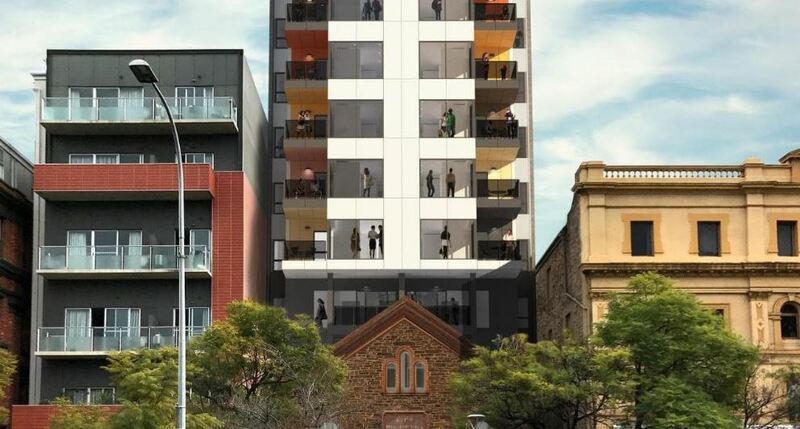 The one- and two-bedroom apartments will be designed by Adelaide-based architects, Tectvs, and managed by Housing Choices – a community housing provider that specialises in property for low-income and vulnerable people. Spence on Light will include 53 affordable and social housing apartments, 16 unique apartments for older people requiring aged care support, and six apartments suitable for people living with a significant disability. Apartments will be made available to people on housing waitlists, older people with care needs and limited housing options, and to SA Housing Authority and Housing Choices’ residents looking to move out of dwellings that are too expensive to heat, cool and maintain.